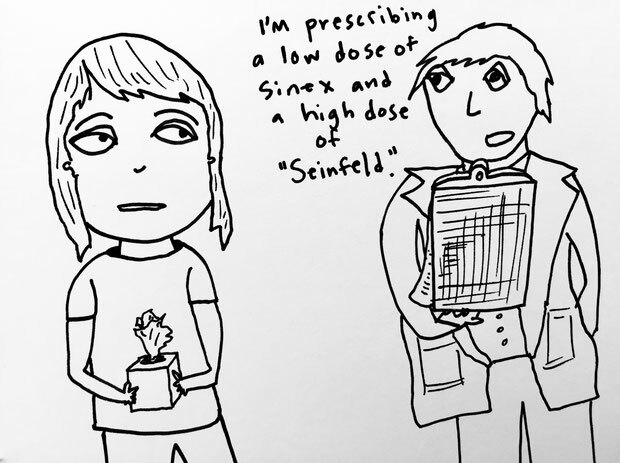 Sinus Seinfeld - megandraws's JimdoPage! 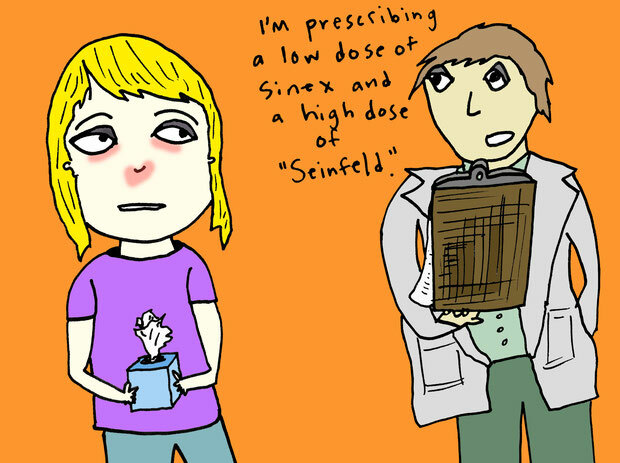 Today's sketch- there's a sinus/allergy/cold something or other floating around and it found me this weekend. Stuffed up and tired! I was bummed to miss Friday happy hour and an art show reception. The only bright spots- discovered The Great British Bake Off and have had plenty of time to update this website and start blogging my cartoons on it.